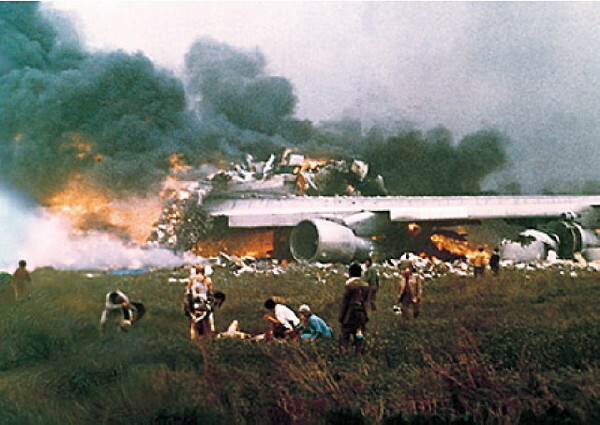 27 March 1977: The deadliest accident in the history of aviation occurred when two Boeing 747 airliners collided on the runway on the island of Tenerife in the Canary Islands. 583 people died. 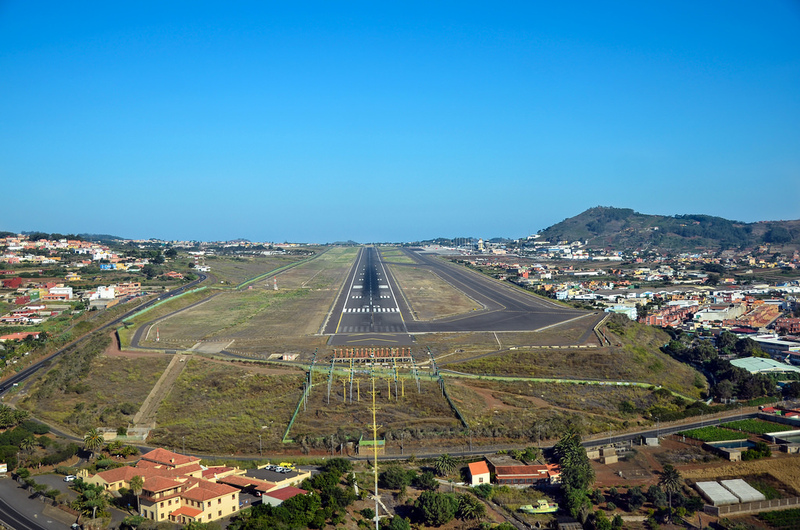 A terrorist incident at Gran Canaria International Airport (LPA) on the island of Gran Canaria resulted in the airport being closed for flight operations. This forced many trans-Atlantic airliners to divert to the smaller Los Rodeos Airport (TFN) on Tenerife. The ramp and taxiways at Los Rodeos were congested and refuelers were overwhelmed by the increased traffic, which led to many delays. Los Rodeos Airport has only one runway, Runway 12/30, with a parallel taxiway and four short taxiways joining the two. 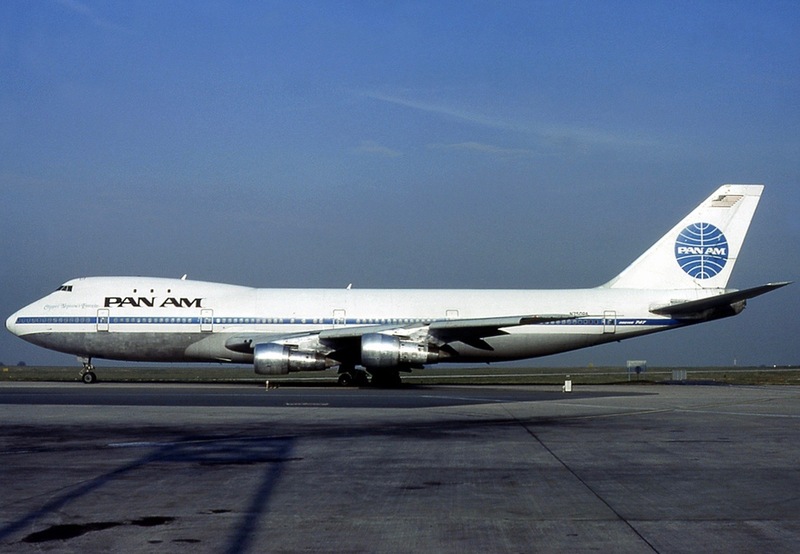 Pan American World Airways’ Flight 1736, a Boeing 747-121, FAA registration number N736PA, named Clipper Victor ¹ was ready for takeoff with 380 passengers and crew, but had to “back taxi” on Runway 12 (“One-Two”) because the parallel taxiway was jammed with airplanes. The airliner proceeded east-southeast, intending to exit the runway to the parallel taxiway after passing by the congestion around the terminal. Also on the runway was Koninklijke Luchtvaart Maatschappij (KLM) Flight 4805, a Boeing 747-206B, PH-BUF, named Rijn (“Rhine”). 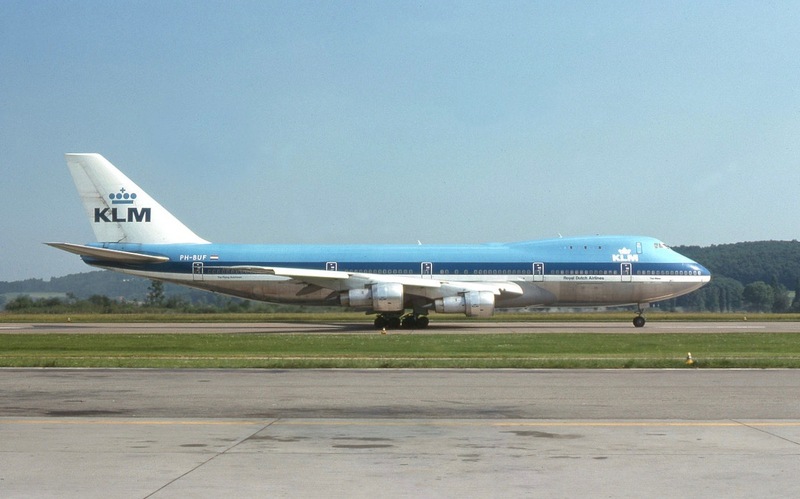 The KLM jumbo jet had 248 passengers and crew members on board. Flight 4805 had back-taxied for the entire length of Runway 12, then made a 180° turn to align itself with Runway 30, the “active” runway. Weather at the time of the accident was IFR, with low clouds and fog. Visibility on the runway was restricted to about 1,000 feet (305 meters). Takeoff rules required a minimum of 2,300 feet (701 meters). What happened next was a misunderstanding between the air traffic controllers and the crew of both airliners. The control tower instructed KLM 4805 to taxi into position on Runway 30 (“Three-Zero”) for takeoff, and to hold there for release. 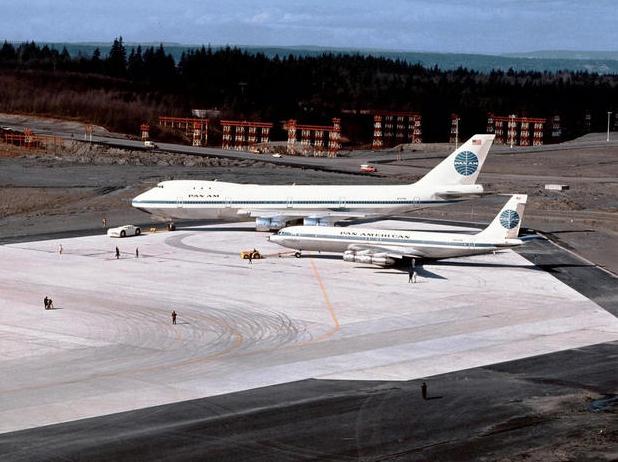 The Pan Am airliner was told to taxi off the runway and to report when clear. The tower controllers could not see either airliner because of the fog, and their flight crews could not see each other. The aircraft commander of the Dutch airliner, that company’s Chief Pilot and Chief Flight Instructor, Captain Jacob Veldhuyzen Van Zanten, apparently misunderstood what was occurring and radioed to the tower that he was taking off. He then accelerated. 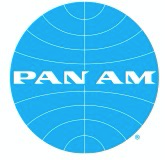 The crew in the Pan Am airliner heard the KLM pilot report that he was taking off, immediately turned left and ran the engines up to full throttle in order to try to get off the runway. With the KLM 747 accelerating through the fog, its flight crew belatedly realized that the other airliner was still ahead of them. Too late to stop, they applied full power and pulled the nose up trying to takeoff. The tail of their airplane actually dragged over sixty feet (18 meters) on the runway because its extreme nose up angle. 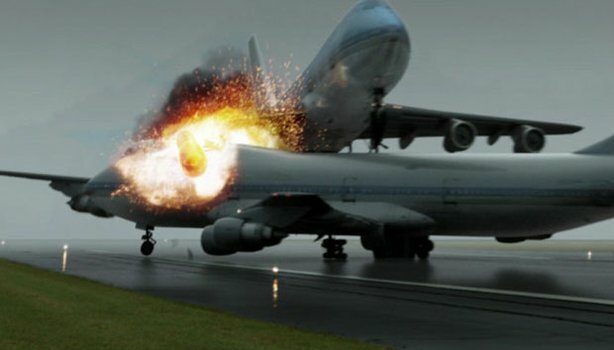 KLM 4805 lifted off about 300 feet (91 meters) from Pan Am 1736, and because of the high angle of attack, its nose wheel actually passed over American airliner’s fuselage, but the rest of the Dutch airplane hit at 140 knots (259 kilometers per hour). Clipper Victor was ripped in half, caught fire and exploded. Rijn crashed about 250 yards (229 meters) down the runway, and it also caught fire and exploded. All 248 people aboard the Royal Dutch Airlines airplane were killed. Miraculously, there were 61 survivors from the Pan Am Clipper, including the co-pilot, but the remaining 335 died. ¹ Pan American World Airways’ Boeing 747 Clipper Victor was the very first Boeing 747 in service. 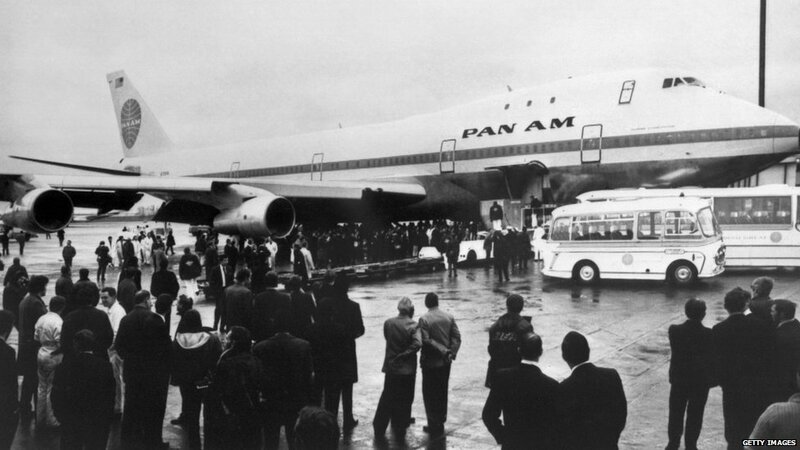 It made its first commercial passenger flight, New York to London, 22 January 1970. Another airliner, Clipper Young America, was scheduled to make that flight but suffered mechanical problems shortly before departure. 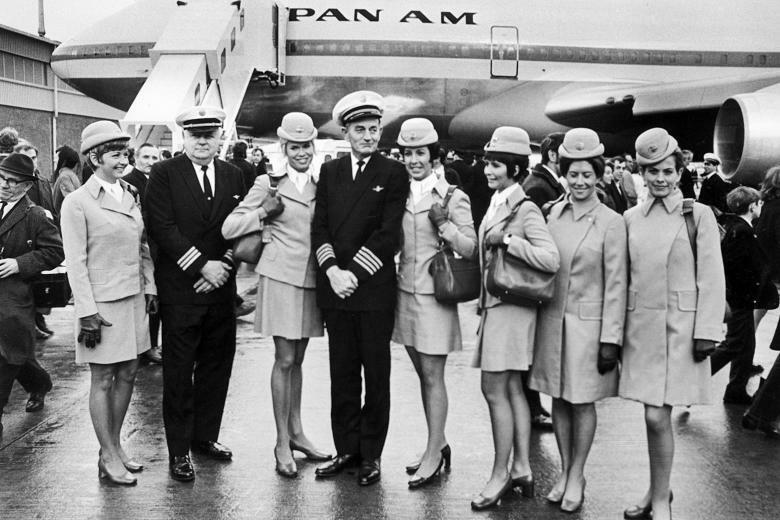 Clipper Victor was substituted, but Pan Am changed the airliner’s name to Clipper Young America. 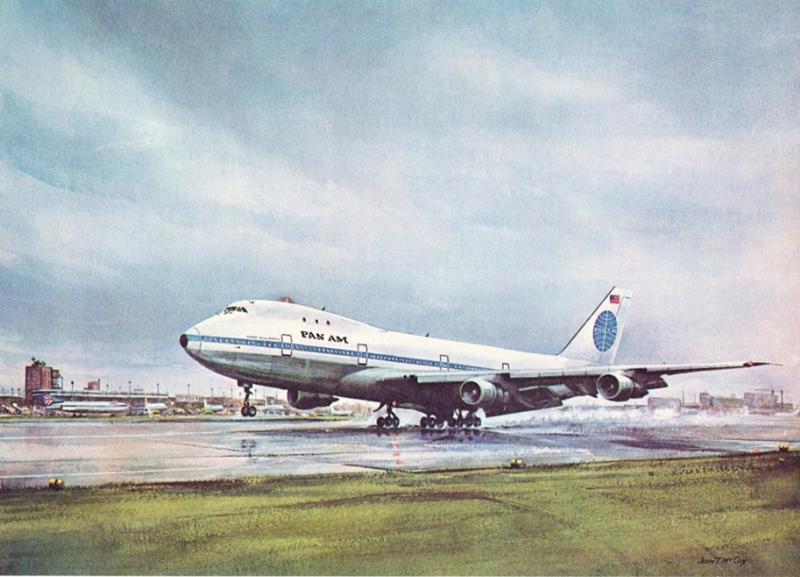 On 2 August 1970, N736PA was hijacked to Cuba, and afterwards, to avoid the negative publicity, the name of the 747 was changed back to Clipper Victor.